Nylabone Dura Chew Hollow Sticks are tough nylon dog toys that have a fun, distinctive stick shape. Completely hollow, they’re great for hiding treats, peanut butter and more! 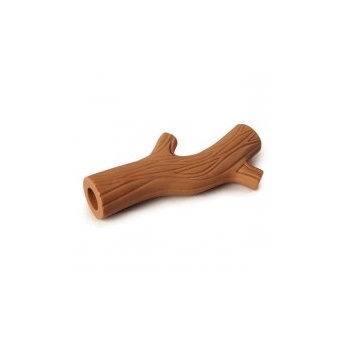 Keep dogs happy and occupied for hours with this durable Nylabone Dura Chew Hollow Sticks. The indentations on the stick are great for helping reduce tartar, while the hollow center is perfect for stuffing treats. Different dogs have different chewing styles and strengths, even within the same breed. Be sure to choose the correct chew size and type for your dog. Dogs should not bite off large pieces - replace when the ends have worn down.